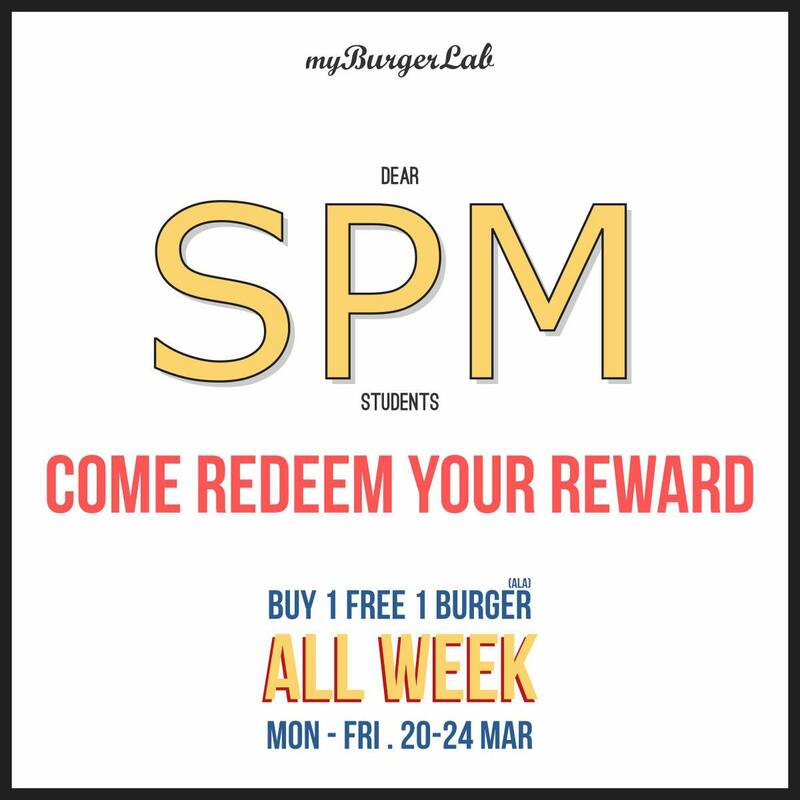 We wanna celebrate your success and hard work by giving yall a special one week Buy 1 Free 1 (ala) offer! Must Bring IC and Result Slip. Both must be presented. 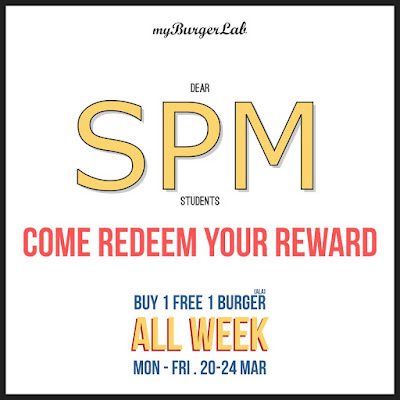 Free Burger will be applied to Burger of equal or less value. Not stackable with other promo or discounts. Applicable at Seapark, OUG, Sunway and Cyberjaya Labs.